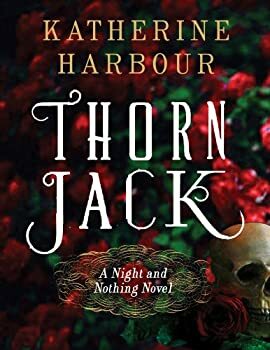 Katherine Harbour was born in Albany, NY (upstate NY is where Thorn Jack takes place) and now lives in Sarasota, FL. She briefly attended college in Minneapolis, Minnesota, before attempting life as a painter (the artsy kind). She has been writing since she was seventeen and juggling a few jobs while doing it. 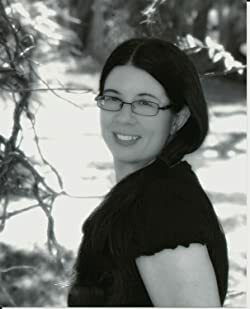 She wrote Thorn Jack when she was seventeen—as well as many, many other things over the years—and she took it out of the trunk (a literal trunk) two years ago, dusted it off, and began revising it, before submitting it to Harper Voyager’s open call last year. Click here for more stories by Katherine Harbour. Night and Nothing — (2014- ) Publisher: Combining the sorcery of The Night Circus with the malefic suspense of A Secret History, Thorn Jack is a spectacular, modern retelling of the ancient Scottish ballad, Tam Lin—a beguiling fusion of love, fantasy, and myth that echoes the imaginative artistry of the works of Neil Gaiman, Cassandra Clare, and Melissa Marr. In the wake of her older sister’s suicide, Finn Sullivan and her father move to a quaint town in upstate New York. Populated with socialites, hippies, and dramatic artists, every corner of this new place holds bright possibilities—and dark enigmas, including the devastatingly attractive Jack Fata, scion of one of the town’s most powerful families. As she begins to settle in, Finn discovers that beneath its pretty, placid surface, the town and its denizens—especially the Fata family—wield an irresistible charm and dangerous power, a tempting and terrifying blend of good and evil, magic and mystery, that holds dangerous consequences for an innocent and curious girl like Finn. To free herself and save her beloved Jack, Finn must confront the fearsome Fata family . . . a battle that will lead to shocking secrets about her sister’s death. Thorn Jack: Don’t drink the blackberry wine!